Customized unique wedding ring in curved wedding band setting with your choice of diamonds or natural gemstones in 14k or 18k white, yellow or rose gold and platinum. 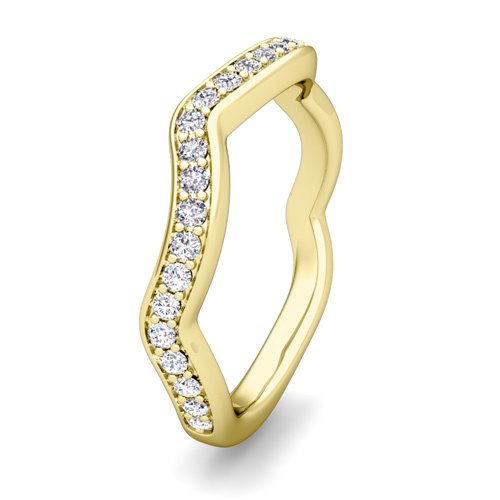 This unique wedding ring is crafted in a 14k gold curved ring band studded with sparkling diamonds. Matching engagement ring is available as a perfect bridal set. 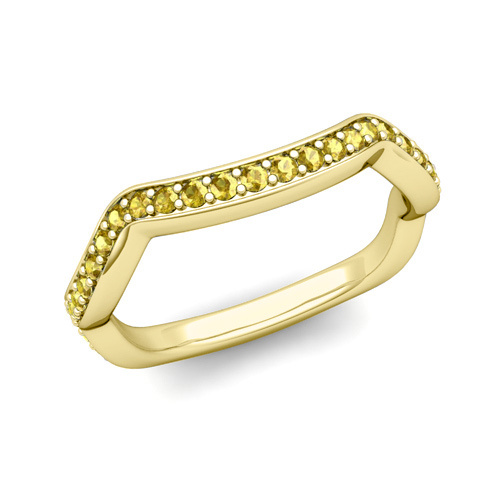 This unique wedding ring is crafted in a 18k gold curved ring band studded with sparkling diamonds. Matching engagement ring is available as a perfect bridal set. 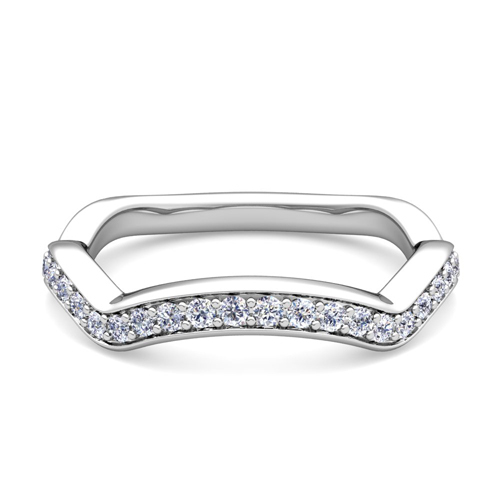 This unique wedding ring is crafted in a platinum curved ring band studded with sparkling diamonds. Matching engagement ring is available as a perfect bridal set. This unique wedding ring is crafted in a 14k gold curved ring band studded with sparkling black diamonds. 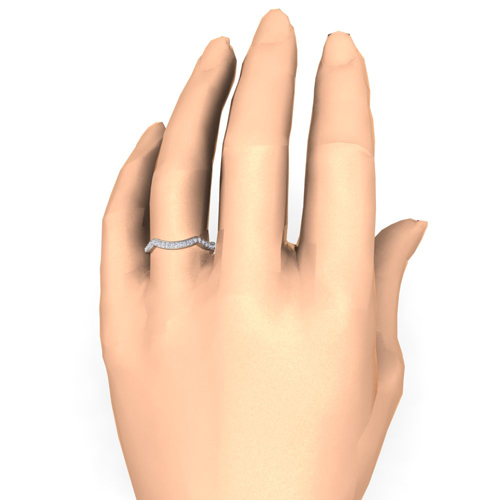 Matching engagement ring is available as a perfect bridal set. 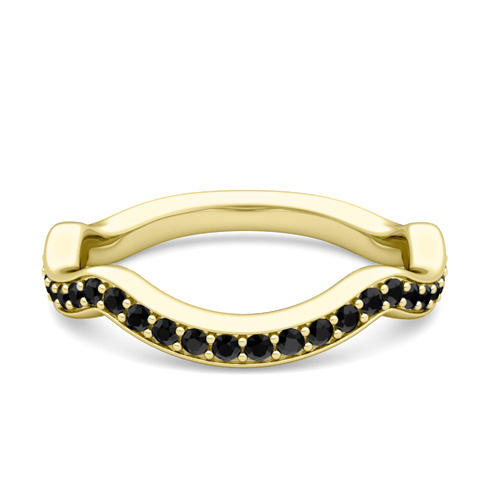 This unique wedding ring is crafted in a 18k gold curved ring band studded with sparkling black diamonds. 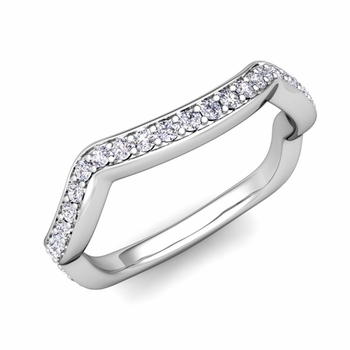 Matching engagement ring is available as a perfect bridal set. 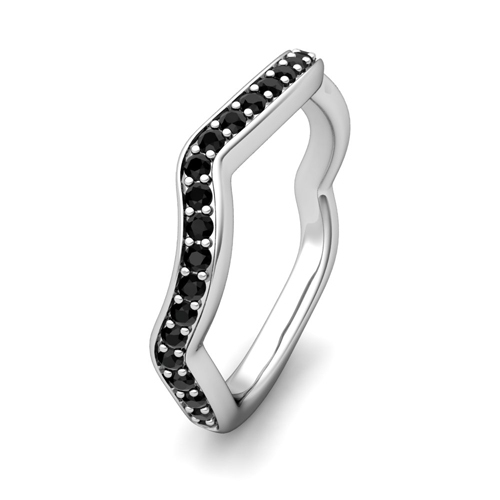 This unique wedding ring is crafted in a platinum curved ring band studded with sparkling black diamonds. Matching engagement ring is available as a perfect bridal set. This unique wedding ring is crafted in a 14k gold curved ring band studded with vibrant blue sapphires. Matching engagement ring is available as a perfect bridal set. This unique wedding ring is crafted in a 18k gold curved ring band studded with vibrant blue sapphires. Matching engagement ring is available as a perfect bridal set. This unique wedding ring is crafted in a platinum curved ring band studded with vibrant blue sapphires. Matching engagement ring is available as a perfect bridal set. 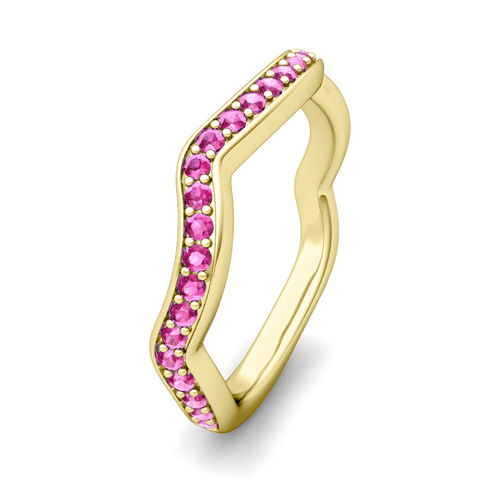 This unique wedding ring is crafted in a 14k gold curved ring band studded with vibrant pink sapphires. Matching engagement ring is available as a perfect bridal set. This unique wedding ring is crafted in a 18k gold curved ring band studded with vibrant pink sapphires. Matching engagement ring is available as a perfect bridal set. This unique wedding ring is crafted in a platinum curved ring band studded with vibrant pink sapphires. Matching engagement ring is available as a perfect bridal set. This unique wedding ring is crafted in a 14k gold curved ring band studded with vibrant yellow sapphires. Matching engagement ring is available as a perfect bridal set. This unique wedding ring is crafted in a 18k gold curved ring band studded with vibrant yellow sapphires. Matching engagement ring is available as a perfect bridal set. This unique wedding ring is crafted in a platinum curved ring band studded with vibrant yellow sapphires. Matching engagement ring is available as a perfect bridal set. This unique wedding ring is crafted in a 14k gold curved ring band studded with vibrant red rubies. Matching engagement ring is available as a perfect bridal set. This unique wedding ring is crafted in a 18k gold curved ring band studded with vibrant red rubies. Matching engagement ring is available as a perfect bridal set. This unique wedding ring is crafted in a platinum curved ring band studded with vibrant red rubies. Matching engagement ring is available as a perfect bridal set. This unique wedding ring is crafted in a 14k gold curved ring band studded with vibrant green emeralds. Matching engagement ring is available as a perfect bridal set. This unique wedding ring is crafted in a 18k gold curved ring band studded with vibrant green emeralds. Matching engagement ring is available as a perfect bridal set. This unique wedding ring is crafted in a platinum curved ring band studded with vibrant green emeralds. Matching engagement ring is available as a perfect bridal set.